Added April 14, 2019 from Alaina Lockhart, MP Fundy Royal. Added April 12, 2019 from Alaina Lockhart, MP Fundy Royal. 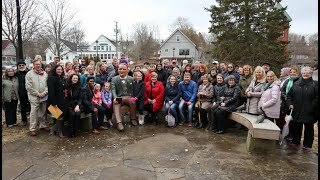 March 31, 2019 was a historical day for the Town of Hampton, NB when Siyabulela Mandela visited the Credo Monument in the heart of the community. This week, I stood in the House of Commons to share the impact of his visit and his words of inspiration. 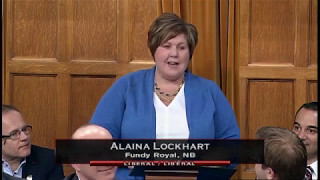 Added March 10, 2019 from Alaina Lockhart, MP Fundy Royal. 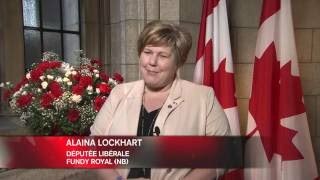 Added March 9, 2019 from Alaina Lockhart, MP Fundy Royal. 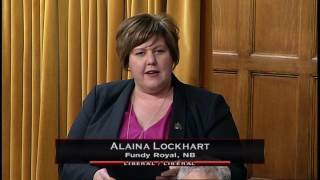 Added February 28, 2019 from Alaina Lockhart, MP Fundy Royal. Added February 22, 2019 from Alaina Lockhart, MP Fundy Royal. 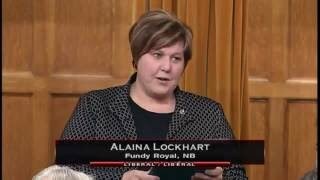 Added February 20, 2019 from Alaina Lockhart, MP Fundy Royal. Added February 19, 2019 from Alaina Lockhart, MP Fundy Royal. When women have the chance to succeed, we all benefit. 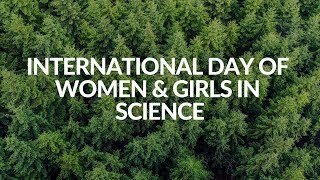 Together, we can empower women and girls to pursue opportunities in science, technology, engineering, and mathematics (STEM). Yeen Ting, Pam, and Clara work at Maritime Innovation Limited, in Sussex New Brunswick. All three women are great examples of women who are working in science. Through their work they are making an impact in our communities, and are role models for the next generation! Thank you for sharing your stories, and to Maritime Innovation Ltd. for opening your doors. Added February 7, 2019 from Alaina Lockhart, MP Fundy Royal. 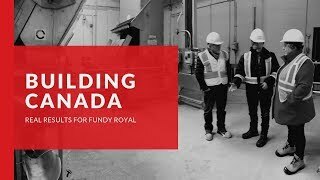 In Fundy Royal, investments in infrastructure means everything from building the Fundy Trail Parkway connector roads to replacing the Coles Island bridges to wastewater and drinking water projects to rebuilding community arenas. 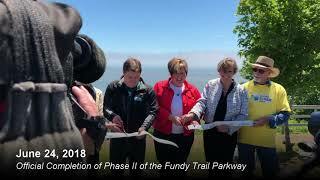 The multi-million dollar investment in the Fundy Trail Parkway connector roads will change the tourism landscape in New Brunswick forever by connecting St Martins to Fundy National Park and Sussex. 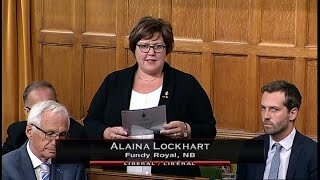 Added January 30, 2019 from Alaina Lockhart, MP Fundy Royal. 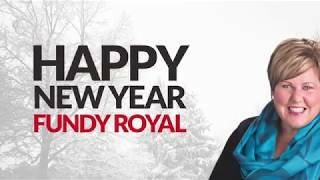 2018 was a great year in Fundy Royal! We are so lucky to live in an area with such vibrant communities to raise families and call home. 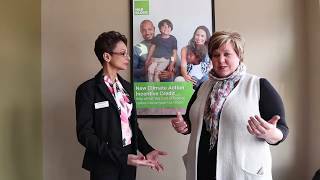 Take a look at some of the highlights from this year in this 2018 Year in Review video! Thank you to all of my constituents for welcoming me at your doorsteps, saying hello at community events, and expressing your concerns and feedback to me. It is my privilege to serve as your voice in Ottawa and to deliver on your priorities. I look forward to working together to continue this in 2019. Added December 6, 2018 from Alaina Lockhart, MP Fundy Royal. 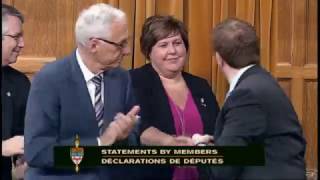 Today, I rose in the House of Commons to talk about my visit with the my colleague, Honourable Minister of Health Ginette Petitpas Taylor, to École des Pionniers in the Town of Quispamsis. This school exemplifies the the vitality of our language minority communities in Fundy Royal and all across the country. I am proud to be part of a government that supports Francophone communities in Ontario, in Fundy Royal, and all across Canada. \\ Aujourd'hui, je me suis levée dans la Chambre des Communes pour parler de ma visite à Ecole des Pionniers avec ma collègue, l'honourable Ministre de la santé, Ginette Petitpas Taylor à Quispamsis. Cette école démontre la vitalité de nos communautés de langue minoritaire à Fund Royal et tout autour du pays. 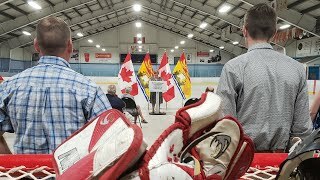 Je suis fière d'être parti d'une gouvernement qui soutient nos communautés Francophone à l'Ontario, à Fundy Royal et partout au Canada. On Remembrance Day we honour those who have sacrificed so much for us. Our family, friends, and neighbours who defended our country and our freedom. Those who serve do so with bravery, honour, and dignity. Protecting the values we cherish the most, and doing so with their lives. Show your gratitude to the valiant Canadians in uniform, past and present, their dedication and service protect and defend everything that Canada stands for. Let each day we enjoy our freedom be a day we honour them in Remembrance. Added October 22, 2018 from Alaina Lockhart, MP Fundy Royal. Member's Statement: World Tourism Day (September 27, 2018) Today is World Tourism Day, and I am proud to celebrate this vital industry which provides more jobs for Canadians than the oil and gas, mining, agriculture, aerospace, and auto manufacturing industries, combined. In Fundy Royal, we have 271 Tourism businesses and 2,613 employed in the industry. I also want to take this opportunity to congratulate all of the amazing finalists from across the country for the 2018 Canadian Tourism Awards. 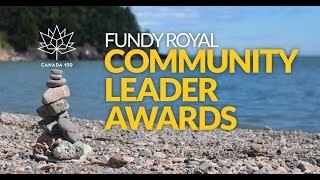 Also amazing to see all of the great organizations on this list from Fundy Royal and Atlantic Canada! 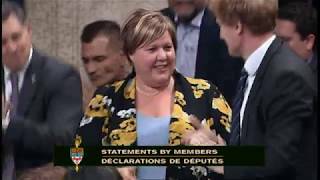 // Déclaration de députée: La Journée Mondiale du Tourisme (28 septembre 2018) Nous célébrons aujourd'hui la Journée mondiale du tourisme et je suis fière de célébrer cette industrie vitale qui offre plus d'emplois aux Canadiens que les industries du pétrole et du gaz, des mines, de l'agriculture, de l'aérospatiale et de l'automobile. À Fundy Royal, nous comptons 271 entreprises touristiques et 2 613 entreprises. Je tiens également à profiter de cette occasion pour féliciter tous les incroyables finalistes de partout au pays pour les prix du tourisme canadien de 2018. C’est également incroyable de voir toutes les organisations sur cette liste provenant de Fundy Royal et de l’Atlantique! Added August 8, 2017 from Alaina Lockhart, MP Fundy Royal. Added June 30, 2017 from Alaina Lockhart, MP Fundy Royal. Happy Canada 150, Fundy Royal! We’re celebrating all that has made Canada the most amazing country over the last 150 years and the dynamic future that lies ahead. I encourage you to get out and explore our beautiful riding to commemorate this anniversary. Take a few moments to reflect on why you are a proud Canadian and remember the sacrifices made by our Canadian Armed Forces and our veterans so that we can enjoy our freedom. 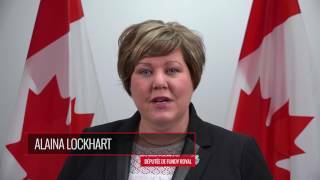 Added June 8, 2017 from Alaina Lockhart, MP Fundy Royal. On November 2nd, 2016, I was proud to see every single Member of this House united and voting in favour of my Motion, M-39, to study the issue of immigration in Atlantic Canada. There was a mutual recognition of Atlantic Canada’s important contribution to our country. Sadly, it seems that the opposition’s good will towards Atlantic Canada has since disappeared. Added May 10, 2017 from Alaina Lockhart, MP Fundy Royal. Canada celebrated its 100th birthday in 1967. That year, 370,894 Canadians were born. I want to wish all those in Fundy Royal and across Canada, a Happy 50th Birthday. Remember, even though you may be greying faster, 1967 is an excellent vintage and is now aged to perfection. Added May 5, 2017 from Alaina Lockhart, MP Fundy Royal. 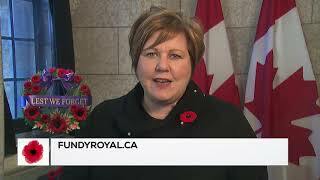 I was honoured to rise yesterday and speak to Bill C-311, An Act to amend the Holidays Act (Remembrance Day) which was brought forward by my colleague Colin Fraser. 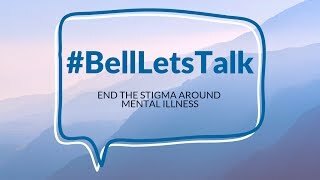 I believe one of the most poignant things we can do as proud Canadians is to join together as a nation and as individuals, to recognize and pay tribute to those brave Canadian soldiers, sailors, and aviators who have made the ultimate sacrifice, in wartime and in peace, at home and abroad, to safeguard our values and our way of life. Added April 18, 2017 from Alaina Lockhart, MP Fundy Royal. Added April 12, 2017 from Alaina Lockhart, MP Fundy Royal. Every morning we get up and start our daily routines. We take care of our kids, bid good day to our partners, we head to work. Every day there are those who do the same, but their work is our safety. They run into the fire, perform CPR on our loved ones, and put their lives on the line for ours and our families. I was proud to stand today and ask Minister of Public Safety Ralph Goodale how the Government is keeping its promise to support these Community Heroes and their families. 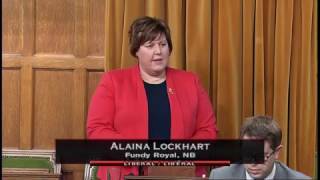 Added March 21, 2017 from Alaina Lockhart, MP Fundy Royal. I rose today as a dedicated advocate for Innovation in Rural Canada. My beautiful province of New Brunswick remains one of the most rural provinces in Canada and we are proud of it! I am proud to be part of a government that understands what Innovation looks like in rural Canada, and has committed to investments in Broadband Internet Connectivity and other technologies to support resource based industries like agriculture and fisheries. 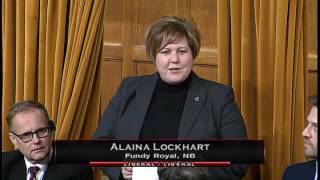 Added March 8, 2017 from Alaina Lockhart, MP Fundy Royal. 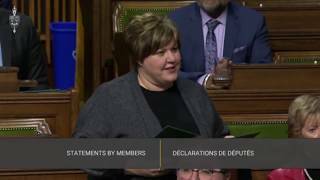 Honoured to rise in the House of Commons to day to talk about the immense contribution that women have made and continue to make in agriculture, and I am so proud that OVER HALF of all new farmers in Atlantic Canada are women! Also happy to give every member an #AgSafe ribbon to honour the almost 85 Canadian lives lost each year to Agriculture-related Injuries. I will be wearing my Canadian Agriculture Safety Association ribbon all next week! 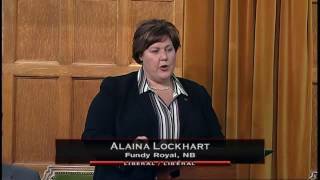 Added March 3, 2017 from Alaina Lockhart, MP Fundy Royal. 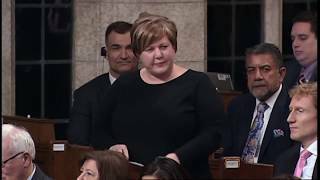 On International Women's Day, I had the opportunity to ask the Minister of the Status of Women to inform the House of Commons of actions that are being taken to ensure that women can actively participate in the democratic process and way of life. 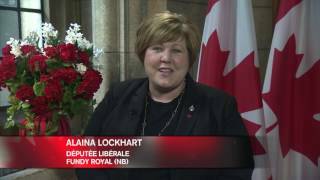 Added February 3, 2017 from Alaina Lockhart, MP Fundy Royal. 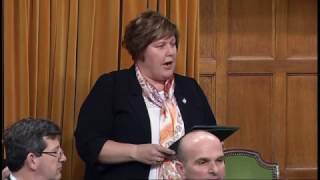 Debate on Bill C-233, An Act respecting a national strategy for Alzheimer's disease and other dementias. Many New Brunswickers are still recovering from the ice storm that struck our province last week and knocked out power for thousands of people. 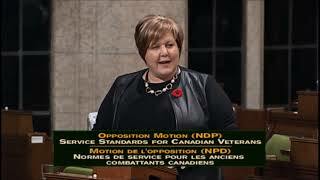 Today I asked the Minister of National Defense about what the federal government has ‎been doing to help. Very proud to know that the request for aid from New Brunswick / Nouveau-Brunswick was approved in 17 minutes. 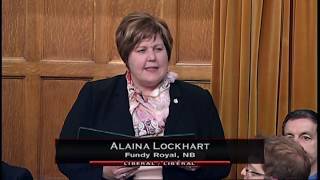 Added January 31, 2017 from Alaina Lockhart, MP Fundy Royal. Last week New Brunswick was hit with an ice storm that downed power lines and cut off electricity to more than 130,000 people across the province. During times of struggle, you see the true resilience and resourcefulness of communities, something I saw first-hand while visiting warming centres in Alma and Salisbury last week. 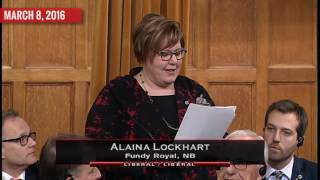 Added December 5, 2016 from Alaina Lockhart, MP Fundy Royal. 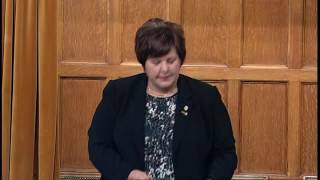 I was pleased to have had the opportunity to ask the Minister of Infrastructure and Communities to explain to the House why infrastructure projects like the Fundy Trail are so important to New Brunswick and to Atlantic Canada. 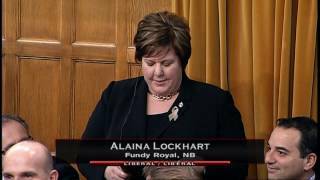 Added November 28, 2016 from Alaina Lockhart, MP Fundy Royal. This morning I had the pleasure of attending the 2016 Governor General’s History Awards for Excellence in Teaching Ceremony where three outstanding teachers from Fundy Royal’s Sussex Middle School were honoured. 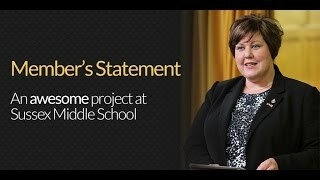 Brian Clancy, Lisa Sheppard, and Catherine Morneault were recognized for an AWESOME project to teach their community about the Canadian experience at Vimy Ridge. I was pleased to stand in the House this afternoon and congratulate them again on their AWESOME achievement. 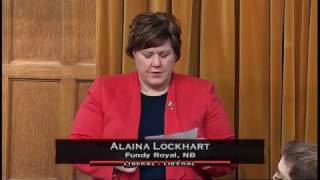 Added November 24, 2016 from Alaina Lockhart, MP Fundy Royal. There are people who come into your life who are inherently good; people who radiate kindness, warmth, and love. 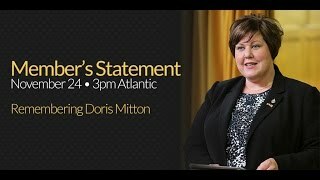 Doris Mitton was one of those people, and I am profoundly sad that we lost her this week. Today, I honoured Doris in a Member’s Statement in the House of Commons. May we all aspire to be a bright light like her. 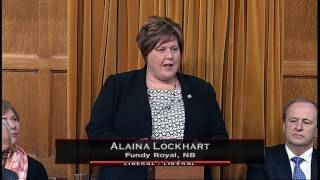 Added November 23, 2016 from Alaina Lockhart, MP Fundy Royal. 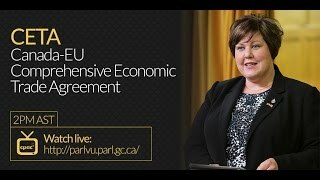 In my riding of Fundy Royal in New Brunswick, SME’s will benefit significantly from CETA. The EU is already New Brunswick’s second largest export destination and fourth largest trading partner. This agreement will eliminate tariffs on almost all of New Brunswick’s key exports in addition to opening new market opportunities. 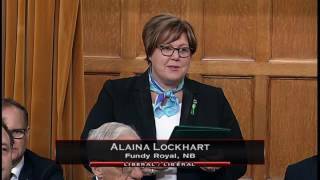 Added November 3, 2016 from Alaina Lockhart, MP Fundy Royal. It was unanimous! Thrilled to announce that my motion, M39, passed in the House of Commons with support from all parties! I am pleased to have brought this debate to the House of Commons and to provide the opportunity for Parliamentarians to make a significant difference in the lives of my constituents of Fundy Royal, of Atlantic Canadians and all of Canada. Studying the best ways to attract and retain immigrants in Atlantic Canada will benefit the entire country. 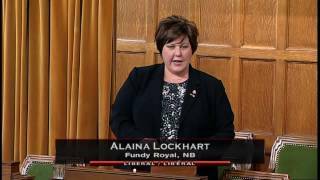 Added November 1, 2016 from Alaina Lockhart, MP Fundy Royal. The shrinking population in Atlantic Canada has been identified as the most pressing concerns for the future of the region. 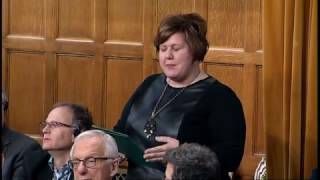 After studying the economic issues of Atlantic Canada and talking with local businesses whose growth has been hindered by workforce issues, I introduced Motion 39 which mandates the Standing Committee on Citizenship and Immigration to undertake a study to consider ways to increase immigration in Atlantic Canada. Through this study, the Committee will consider, among other things: - The challenges associated with an aging population and shrinking population base; - Possible recommendations on how to increase immigration to the region; and - Factors that impact the retention of newcomers to Atlantic Canada. During the debate in the House of Commons on M-39 support was expressed by all parties recognising that we need to look past the natural inclination of focusing completely on job growth and look at the stresses on the workforce in order to build a sustainable future. Added October 7, 2016 from Alaina Lockhart, MP Fundy Royal. As we reflect this month on Women in History, I am reminded of the impact of War Brides in our communities. Thousands came from Britain, including my own great-grandmother and my husband’s grandmother. Ruby Gray, who celebrates her 95th Birthday tomorrow, is another one of these brave women. #BecauseOfHer Canada is a better country. Ruby, thank you for your significant contribution to the History of Canada. We all wish you the most wonderful 95th Birthday! Added September 28, 2016 from Alaina Lockhart, MP Fundy Royal. Thank you, Mr. Speaker. I stand here today to remember the sacrifices and contributions made by British Home Children in the building of this great nation. It is estimated that 10% of Canadians are descendants of these Home Children. A large number of their descendants live in New Brunswick and in my riding of Fundy Royal. Between 1868 and the late 1930s, over 100,000 British boys and girls were sent to Canada for a brighter future. Some were orphans. Most were poor. Once in Canada, many Home Children were sent to live on farms. Some found loving families, but others unfortunately suffered neglect, abuse and intense loneliness. There are monuments erected in several provinces in commemoration of their sacrifices - including one in New Brunswick at Kings Landing Historical Village. Thank you, Mr. Speaker, for allowing me the opportunity to share this piece of our history with this House and to remember the sacrifices made by British Home Children. I was pleased to ask a question regarding immigration strategies in Atlantic Canada. I'm so proud to be representing you as your Member of Parliament. Happy Canada Day to you all! In this statement I had the opportunity to congratulate Jim Hovey of Hampton for receiving the Governor General's Sovereign Medal for Volunteers. In this statement I addressed the closure of the mine in Picadilly and commended the people of the Sussex area for showing an attitude of confidence in the strength of our community and workforce. I reiterated my commitment to support the families and local businesses that have been affected. 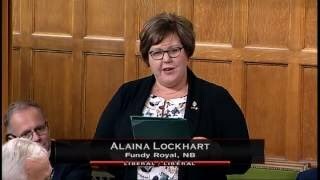 My first statement in the House of Commons, where I had the opportunity to thank the people of Fundy Royal and Roly MacIntyre in particular for their support in choosing me as their representative.